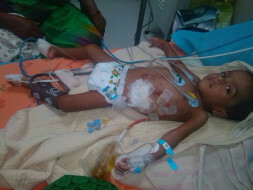 Baby gnanasoundharyan was admitted in Christian medical college and hospital vellore. 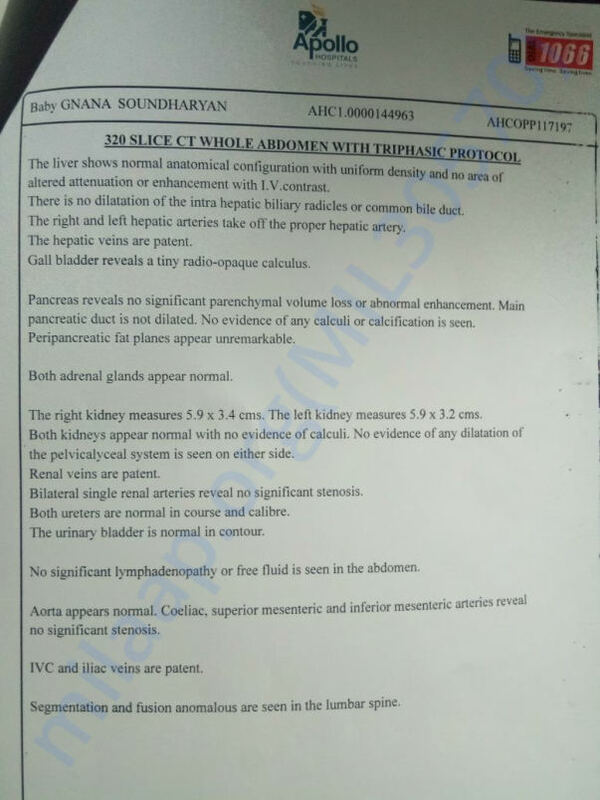 Now the baby is suffering in portal hypertension. 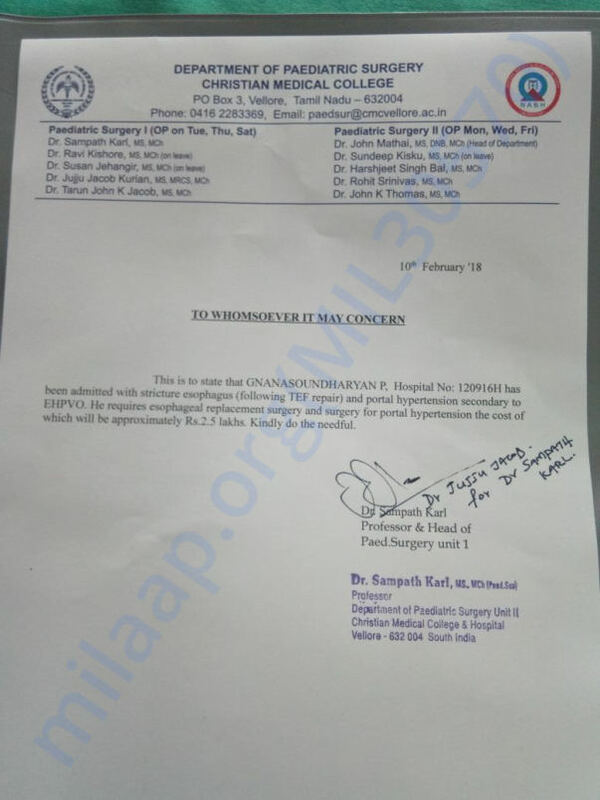 He requires Esophageal replacement surgery and surgery for portal hypertension​ is planned by the doctors. So we requires your help to save our baby. The cost of the surgery approximately 2.5 lakhs. We will update the surgery cost details in the evening.